Decorating for Valentine’s Day starts with picking your palette. Pink, red and white are traditional choices, but don’t stress about pink hues finding their perfect match. 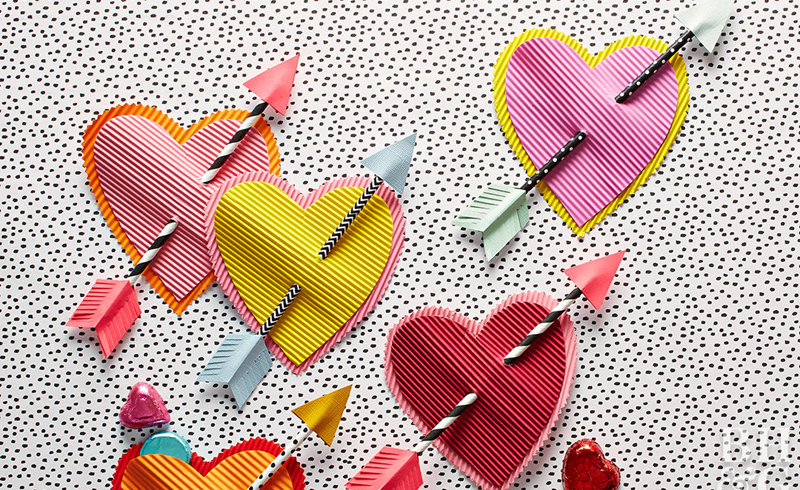 All shades of coral, hot pink, fuchsia, red and bubblegum play well together for Valentine’s Day. Not into the pinky pink? No harm in mixing it up with some orchid, purple and gold for the holiday of love. Wildflowers are hard to come by in February, but this fresh-picked twig bouquet is just as decorative and lasts longer. 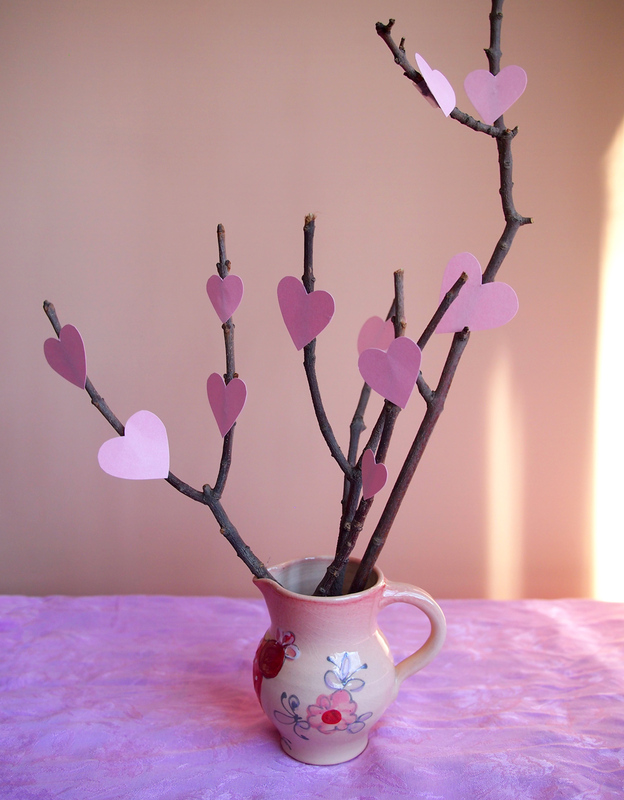 Select small branched sticks and glue on cardstock hearts. Placing marbles in a ceramic pitcher or vase will keep the lightweight bouquet steady and straight. 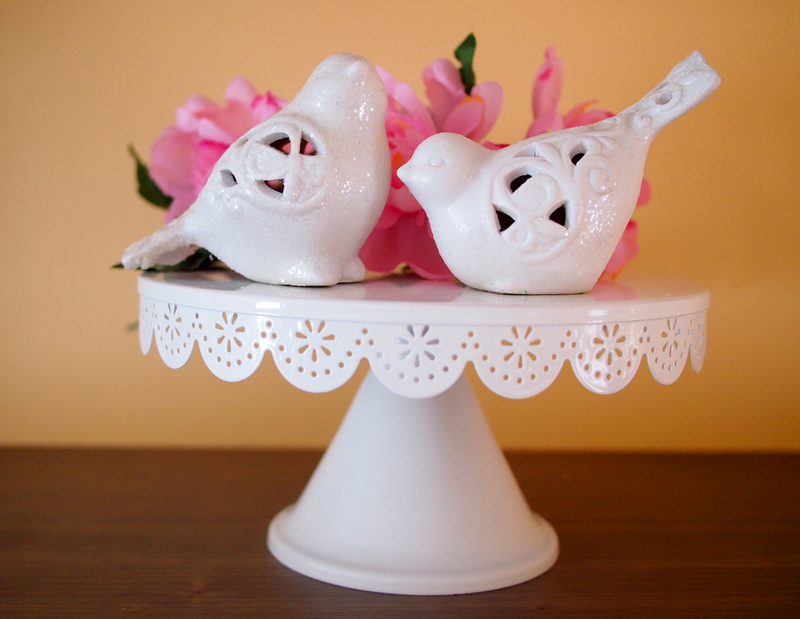 Have any decorative things stashed somewhere because they're a little too feminine to match your everyday decor? This is the time for them to shine! China teacups? Crochet doilies? Frilly tablecloths you inherited at some point? Get those lacy accoutrements out the back of your drawers and let them see the light, even if it’s just for one week a year. What’s more romantic than candles? 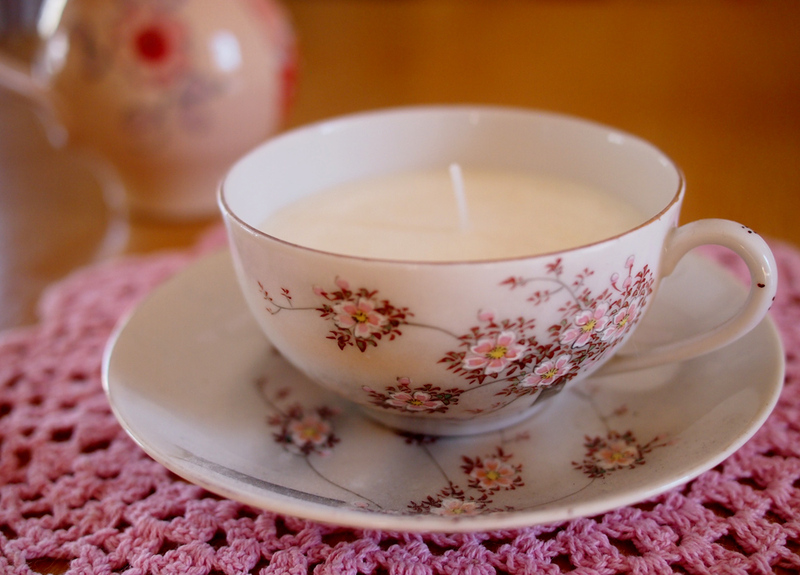 A candle in a vintage tea cup! 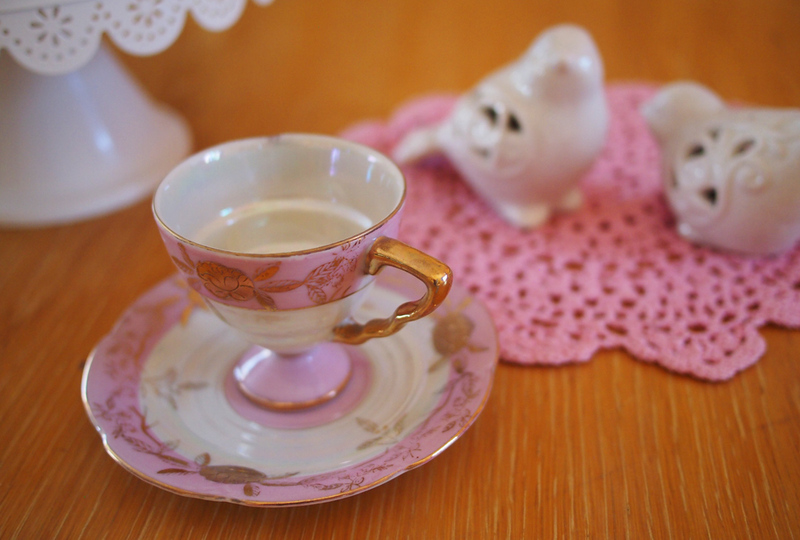 Just pour wax in a teacup with a wick and voila, a teacup candle that makes a great Valentine’s Day gift. It’s cute to display as well. No need to worry about dripping wax, and it can be refilled and reused. Think in pairs! 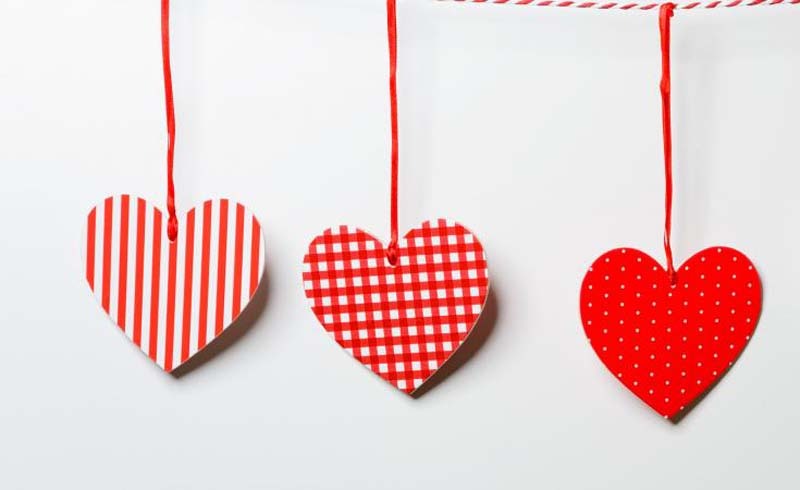 Valentine’s Day is the holiday for two, so group decorations two by two. 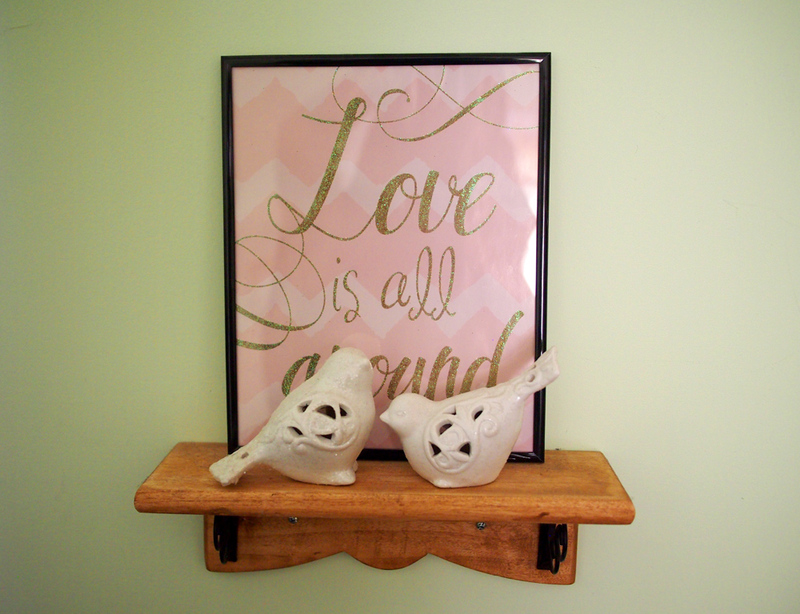 I display these love birds and Love is All Around print throughout the year, but they’re especially relevant in February. 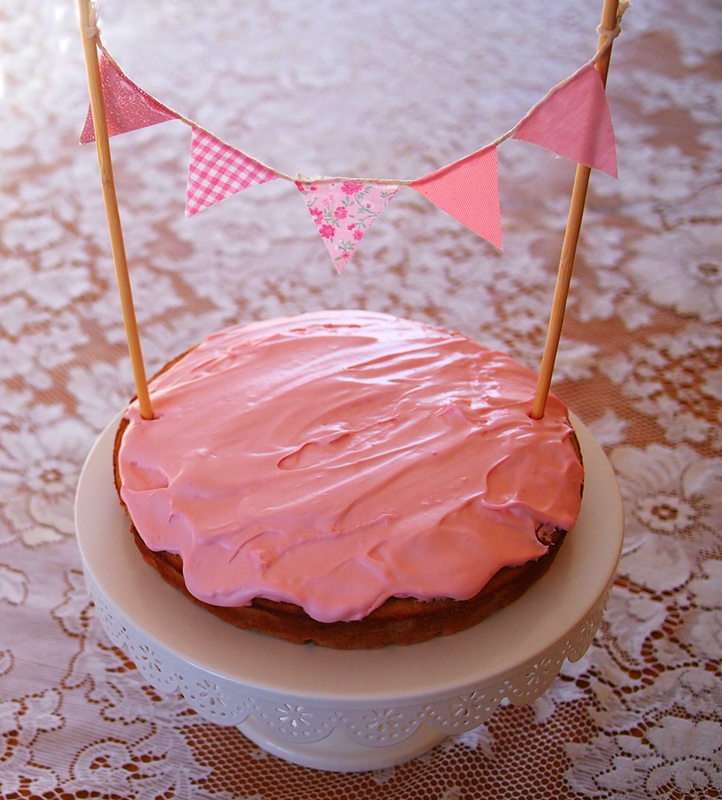 If baking for your honey is part of your Valentine’s Day plans, make it an extra special display with a cake stand and a little cake banner as a topper. I made this one—here’s my tutorial. When the cake stand is not in use, have it do double duty as an easy centerpiece. Faux blooms and decorative elements make a quick Valentine’s Day décor accent for the table that’s almost as enticing as cake!